If you like Wordzen but haven’t yet subscribed, you should consider doing so now. Wordzen’s base price is $79/month, but soon we’ll initiate a two-step price increase. The first step will raise the price to $89/month, and by the end of the year, we expect a second step to raise the price to $99/month, where it will remain for the foreseeable future. All editors are native English speakers. 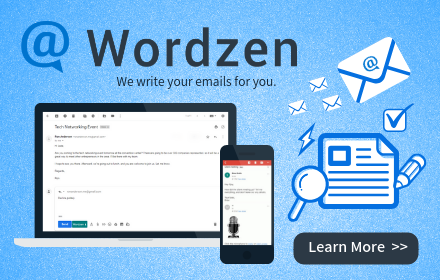 Wordzen has always provided its service at a deep discount compared to what it costs to operate. Even at $99/month, we’ll be losing money on most of our users. Compared to what you would pay to have a quality, on-call, independent editor available to you on your own, you’re saving hundreds (and perhaps more) each month – and even then, they wouldn’t be available 24/7. This is particularly valuable if you ever want to compose and send emails late at night or from a distant time zone. It’s also worthwhile to anyone who speaks English as a second language. If you sign up or renew now (via our Pricing page), you’ll be guaranteed the current price for an entire year. If you wait, the price will be higher. On behalf of all our editors, thanks for your support. We look forward to serving you for a long time to come.